Vancouver city council unanimously passed a motion Tuesday evening that aims to protect renters by making it more difficult for landlords to "renovict" them. 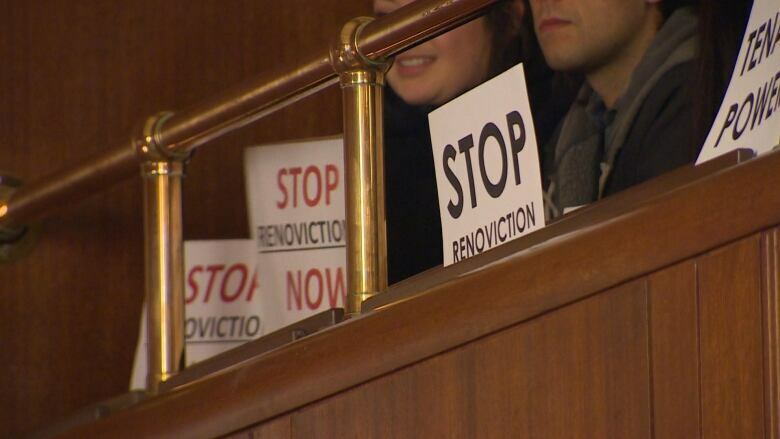 Vancouver city council unanimously passed a motion Tuesday evening that aims to protect renters from "renovictions" — but the councillor who put the motion forward says it's been reduced to "mush." 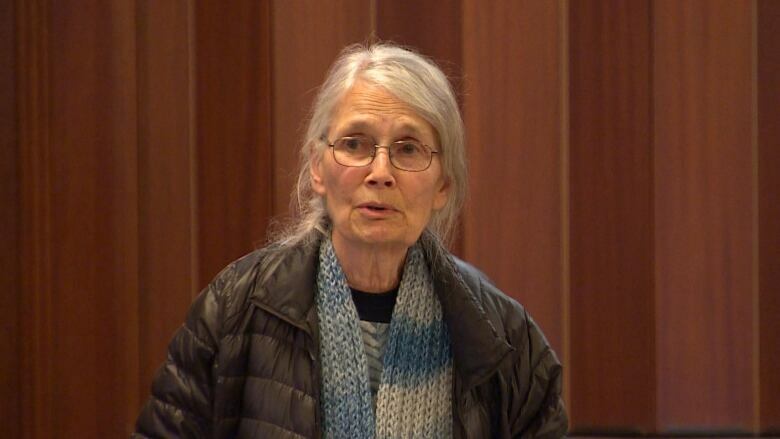 Housing activist and councillor Jean Swanson introduced the motion last month. It calls for the city to make it more difficult for landlords to evict tenants when they repair or upgrade homes. But some of the more contentious parts of the motion were referred to city staff for more research, including a section that called on the province to tie rental rates to the units instead of the renters. That means landlords wouldn't be able to increase rents when renters move out, as they currently can. "The problem is that the councillors listened to the landlords' threats and so they want to have staff investigate everything, and there's no teeth in a staff investigation," Swanson said. One of the sections of the motion that did pass supports existing laws outlined in the province's Residential Tenancy Act (RTA), which requires landlords to offer tenants to temporarily move out, if possible — without ending their lease or increasing their rent when renovations are done. The revised motion also calls on the city to find ways to keep track of all apartment buildings sold and provide tenants in those buildings with information about their rights. Another section of the motion asks the city to explore ways to regulate and publicly register all tenant buyouts. 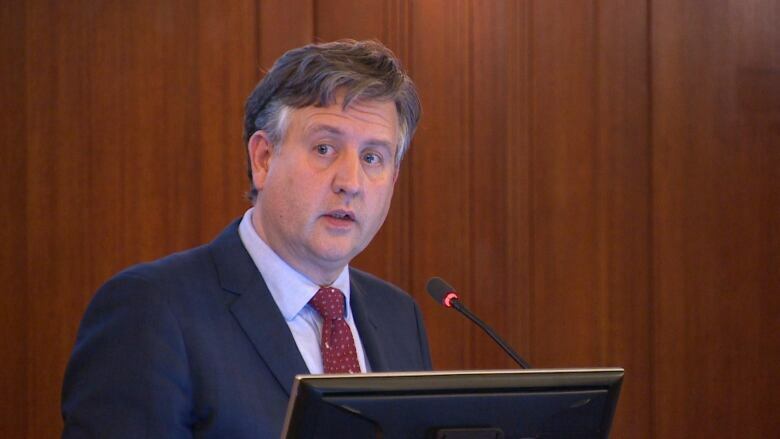 Mayor Kennedy Stewart said the amendments to the motion were needed for staff to research what the city could legally do, given that housing laws fall under the purview of the province. "When we say we need more information, it's genuine," Stewart said during the meeting. In British Columbia, the laws governing rental agreements and rent control falls under the RTA, with the Residential Tenancy Branch stepping in to resolve disputes. The City of Vancouver's Tenant Relocation and Protection Policy acts as a supplement to the RTA, the city's general manager for planning explained in a memo to mayor and council. The city's policy requires landlords who apply for a development permit to provide a Tenant Relocation Plan as part of the permit approval process. This includes proof that the renovations require a renter to move out, and compensate them if they do. However, the policy doesn't apply if the renovations don't call for a development permit. Swanson's original motion called for the city policy to apply to all forms of rental accommodation and all permits, but the RTA and the Vancouver Charter don't currently allow that. In the past two weeks, dozens of people, most of them renters, have attended public hearings to express support for the proposed changes. Many of them shouted from the gallery in council chambers Tuesday evening. The renters told stories of new landlords pressuring them to leave by offering lucrative buyouts, some that offered cash to move out — but the renters said they would likely have to leave the city to find another affordable place to live. About half of the city's residents rent their homes. According to a staff memo, Vancouver's rental vacancy rate is only 0.9 per cent — one of the lowest in Canada. The memo says many renters live in older purpose-built rental housing that is facing increasing needs for repairs, upgrades and retrofits. It adds that landlords say they're finding it difficult to pay for those repairs through existing rental rates. The province has convened a Rental Housing Task Force to tackle the issue. It's expected to make recommendations later this month.